The most easterly region of Ghana is the Volta Region, an area of extraordinary scenic beauty bordering Togo. Its landscape of rolling hills and valleys, with rocky outcrops, lagoons, rivers and waterfalls, is one of nature’s most attractive gifts to Ghana. Climatic conditions vary tremendously within the Volta Region, which stretches from the coastal plains on the Atlantic coast to the arid lands of the north. Visitors can experience almost every tropical climate in West Africa as they travel from the coastal plains, fringed by sunny beaches and mangrove swamps, through the deciduous rain forests of central belt- the location of Mount Afadjato the arid savanna of northern Ghana. The west of the region is dominated by the River Volta and Lake Volta. The lake is a popular recreational area as well as providing a major source of power and water for the region and a ‘water highway’ to the north. Visitors can enjoy a music cruise along the lake or ride the river in a canoe with a local fisherman. The beaches of the Volta estuary are among the best in Ghana and swimming is popular in some areas, although the sea is generally rough along the Atlantic coast. At resorts along the coast, visitors can see crocodiles and marine turtles, indulge in water sports or try their hand at deep sea fishing. Tourism hotspots include the amazing Wli Falls, one of the highest waterfalls in Ghana, in the tropical forest near Hohoe. Equally spectacular are the nearby Tsatsadu falls at Alavanyo and the Tagbo falls at Liate Wote. 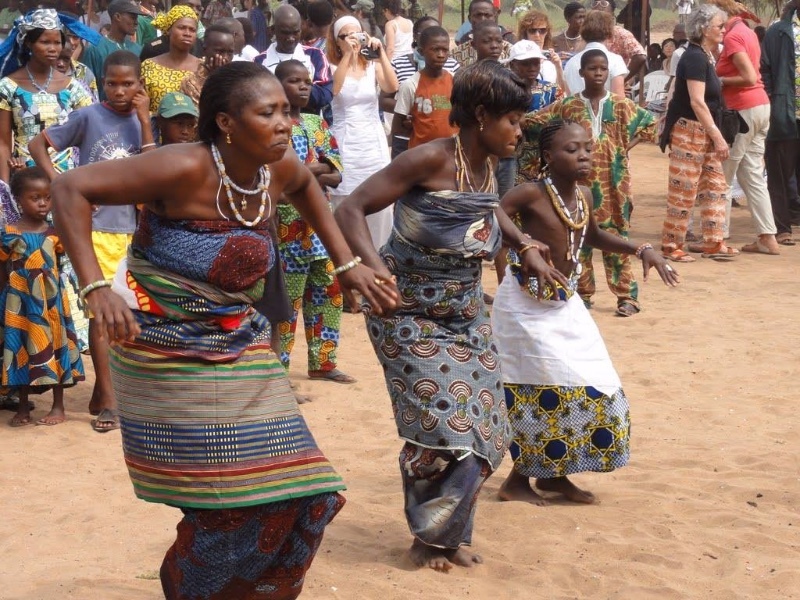 The Volta Region is renowned for its bright festivals and loud ceremonies. The people of Wli hold a unique festival to give thanks for the gift of water, whiles the Anlos people put on the illustrious Hogbetsotso festival ( the name id derived from the Ewe language and translates as ‘festival of Exodus’). A purification ceremony takes place on the first Saturday in November and is followed by several days of cleaning the villages, sweeping the streets and burning of rubbish. At the climax of the festival, local people do the traditional Borborbor dance, while chiefs dress in colourful regalia and receive homage form their subjects. The joyous dancing and singing that characterise the Volta festivals is a reminder of the region’s rich diversity of history and tribal culture. Kente cloth, traditionally woven by members of the Ewe and Ashanti tribes, is one of Ghana’s most famous exports. Over 90 percent of the population are Ewe, the largest ethnic group in the region. The Ewe migrated from the north and their weaving villages can be found along the path of migration. Ewe kente cloth is distinguished by bold animal, human and symbolic patterns skilfully woven into bright cloth. Both groups excel at weaving cloth fit for a king and originally kente was only worn by kings, chiefs and prominent people. Now, it is available to all, but because of its relatively high cost, it is still a cloth of prestige, worn on important religious and social occasions. 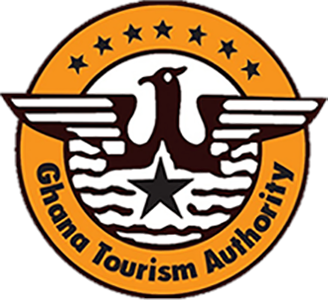 Ho, the region’s capital, is an ideal place to learn about Ghana’s heritage. The ruins of European forts and other structures can still be seen, with unmistakable vestiges of the German colonial era. Visitors can find out more about the area’s history by visiting the regionals museum. 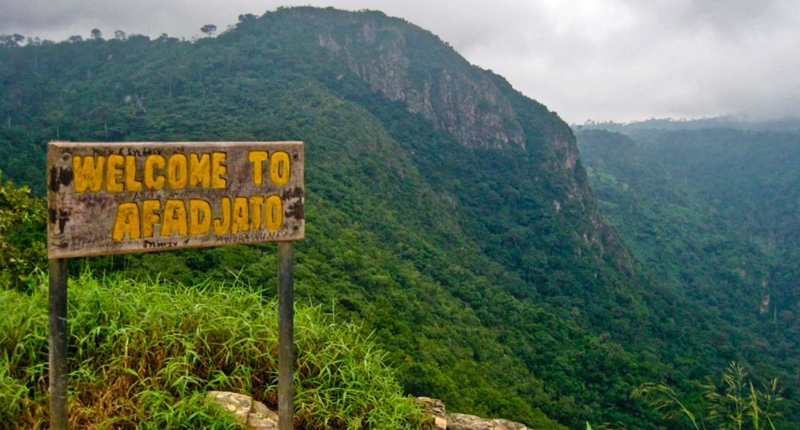 The Volta Region is a lush, highland area full of spectacular natural attractions, scarcely visited coasts and beaches, clear rivers, botanical gardens and beautiful waterfalls. Visitors can take a trip to the cities of Ho and Hohoe or take the opportunity to see mountains, monkey sanctuaries and kente weaving villages. The Volta Region gives the visitor a chance to truly appreciate the magnificence of the Ghanaian way of life. The newly created Kyabobo National Park is in the Nkwanta district of the norther Volta Region, 400 km from Accra.the 359 sq km park contains both forest nad savanna species of plants and animals. Animals in the park include buffalo, kob, warthog, aardvark and baboon. Threatened species include lion, elephant, bongo, reedbuck and hartebeest. With its rich fauna and scenic beauty, Kyabobo National Park is set to boost the tourism potential of the Volta Region once fully developed. Languages: Ewe, Adele, Gikyode, Buem, Ntrubo, Chumburung.